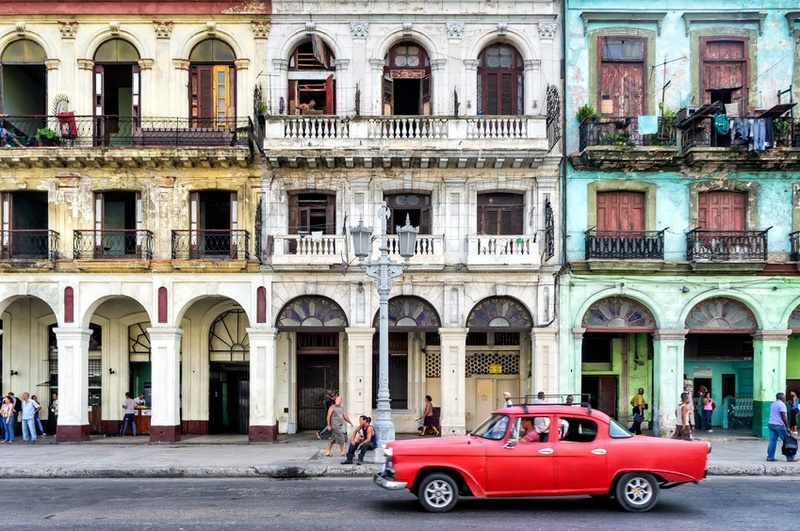 Always in the news and never boring, Cuba’s politics and relations with our southern neighbour might dominate the narrative…however a closer look reveals a vibrant, albeit contentious history and a fascinating, welcoming culture that is finally opening up. Prior to European discovery there three native tribes, including the Taíno people, that inhabited Cuba. Despite centuries of settlement, everything changed in 1492 when Columbus and his three ships arrived on Cuban shores. The island was claimed for Spain and thus begun a long period of colonization and foreign rule. Spanish rule in Cuba lasted from 1492 all the way until 1898. The early years saw much upheaval and disease amongst the local population, though eventually Cuba began to develop. While slavery was important on the island, Cuba had a much more urban and diversified economy – with significantly fewer slaves than nearby countries. 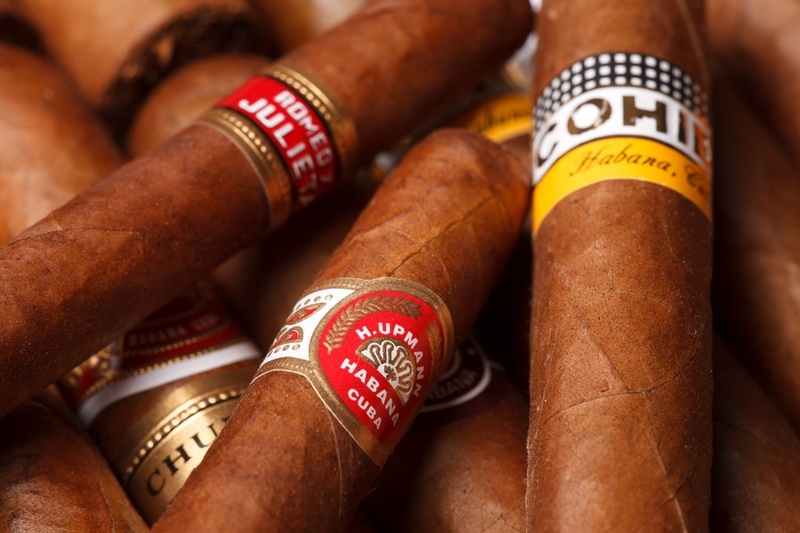 Fast forwarding to the 18th century, Cuba underwent a brief period of British occupation, before it was given back to Spain in return for Florida. In later years as the tide began to turn against the Spanish Empire, Cuba remained loyal to the crown – however everything comes to an end eventually. The seeds of rebellion were planted by Carlos Manuel de Céspedes when, in 1868, he freed his slaves to fight for independence. Though it would not succeed, another event would bring about monumental change. The sinking of a US ship in the Havana Harbour and subsequent blaming of Spain led to war between the two powers – and soon Cuba was a part of the US. In 1902, the country was formally granted independence, though the US kept the right to intervene in Cuban policy. After a series of elections, a strongman named Fulgencio Batista took power in 1933 – ruling for over two decades. His rule was increasingly authoritarian, and included banning the communist party. Though the country was fairly advanced by Latin American standards, social and economic issues such as unemployment persisted. Another rebellion started in earnest in 1956, led by one Fidel Castro. Soon after, Batista went into exile and Fidel ruled, however the struggle was not over. Many insurgents fought against Castro’s regime, though the new government’s forces put these down. With the increasing power of Cuban communists and rash of executions, the US became wary and initiated an ill-fated invasion of Cuba (known as the Bay of Pigs invasion). This failure cemented the Castro government as the ruling force in Cuba, while also driving Cuba closer towards the USSR and far away from the US. This was further exemplified during the tense Cuban Missile Crisis which remains one of the biggest international incidents of the Cold War era. Since then, the Castro regime has maintained its grip on power. Though economic concerns have been a prevailing issue (especially US sanctions), the country has persisted down its path. Even after the fall of the Soviet Union, Cuba weathered the economic and political storm (during a time known as the ‘Special Period’). After decades of rule, Fidel Castro resigned in 2008 and his brother Raúl took his place. 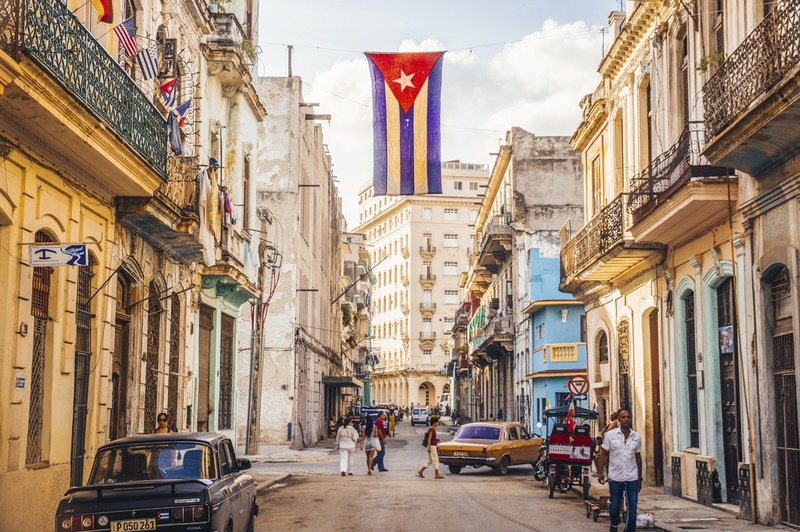 In the last year or so however, Cuba appears to be facing its biggest change since the revolution itself thanks to the so-called ‘Cuban thaw’ between the island country and the US. 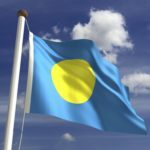 While the embargo (which includes travel and investment restrictions) remains in place, the two formerly hostile countries appear to be en route to normalizing relations. Whether this will continue only time will tell, but it could lead Cuban society into an entirely different and modern era. Like many countries in Latin America, Cuba is a mix of Spanish, African, and indigenous traditions. 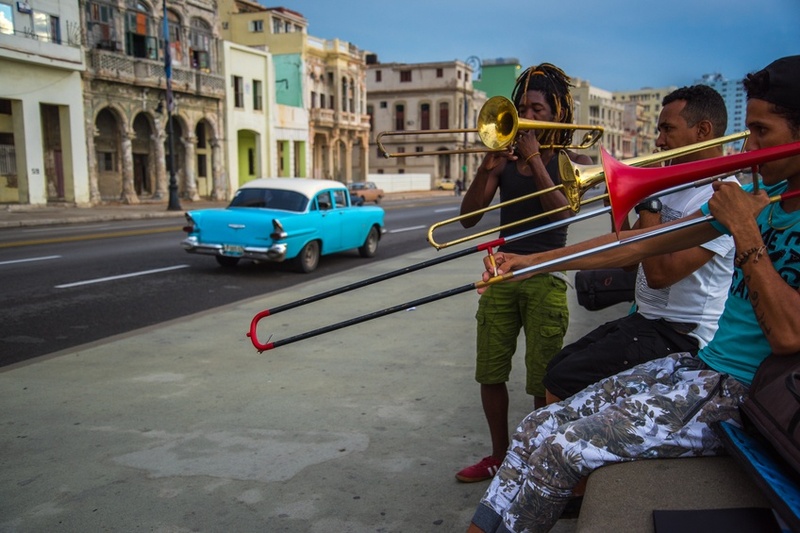 One of the most enduring elements of Cuban culture is music and dance, which adds a unique Cuban twist to traditional Afro-Caribbean styles. 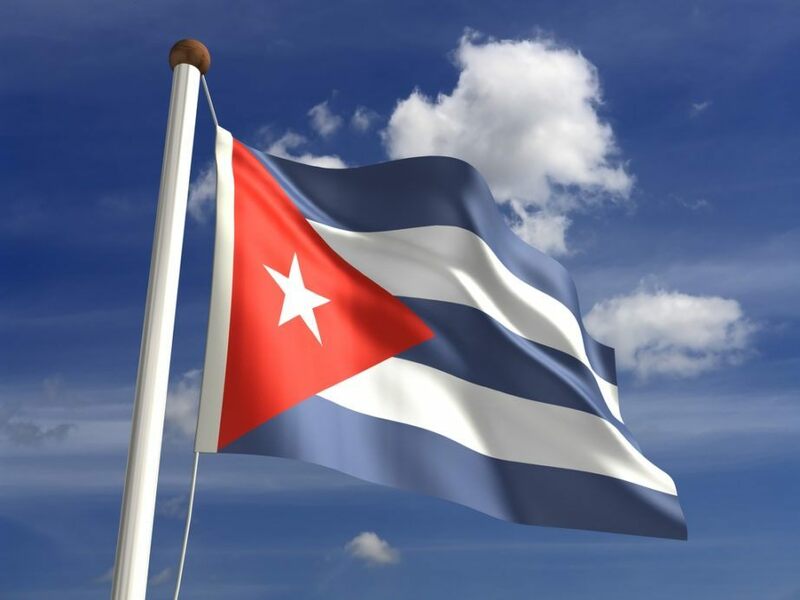 The flag of Cuba was adopted in 1849 and consists of white and blue stripes with a red triangle and white star on the right side. The blue represents the three departments Cuba was divided into, the white for purity and ideals, the red in line with the French Revolution (Liberté, Égalité, Fraternité), and the star envisioned as representing a potential new US state. Food in Cuba combines traditional Caribbean styles with Spanish influences. Meals are usually served all at once (instead of in courses). Ropa vieja (that’s shredded beef) is a popular item and is often served alongside bread, pork, fruit, plantains, black beans, and rice. Years of close association with the US (ironic, right?) resulted in baseball being by far the most popular sport in the country. That being said, soccer, basketball, boxing and other athletics are also followed. Cuba consists of the eponymous main island that makes up most of the area, as well as the smaller Isla de la Juventud, and numerous tiny islands and cays. The land area varies between flat plains, hills, and mountains. An abundance of coastline is one of the most enduring images of Cuba. Havana is by far the largest city, numbering over 2 million inhabitants. It is one of the largest and most important metropolises in the Caribbean, and is well known for its historical architecture. The second biggest city in the country is Santiago de Cuba, with a population of over 400,000. As one of the most fascinating countries in our hemisphere, we could go on and on about just the last few decades of Cuban history – let alone the last few centuries! But we’re running out of time, so we won’t. 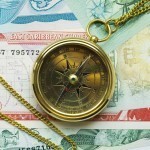 Instead, you can enjoy our Travel Guide and Currency Spotlight!